Constitutional law attorney Paul Kamenar has taken Special Counsel Robert S. Mueller to a federal court of appeals, challenging Mueller's legitimacy and powers as unconstitutional and arguing that Mueller acts like a "U.S. Attorney-at-large or a super U.S. Attorney with almost unlimited resources." This is the only case to challenge the legitimacy of Mueller's appointment in a court of appeals. Kamenar represents Andrew Miller, a former part-time aide to Roger Stone, who was subpoenaed this summer by Mueller to testify against Stone in front of a grand jury. 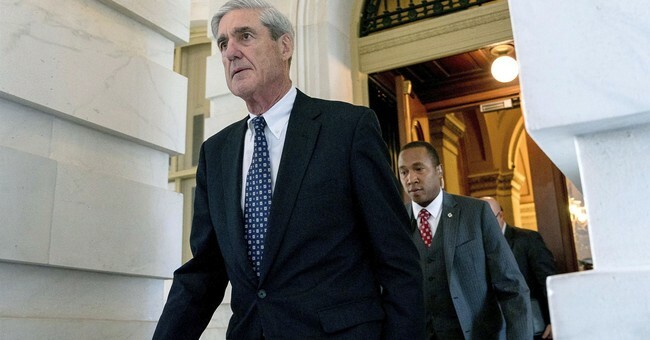 Mueller's team has spent the past year and a half investigating the "Russian collusion" of Trump's campaign and has brought criminal charges against numerous individuals, albeit none for "Russian collusion." Mueller's reliance on Special Counsel powers to make legal demands of the aide have presented a unique legal opportunity for Kamenar to challenge the arguably illegal powers being exercised by Mueller. Andrew Miller purposely refused to testify in order to be held in contempt, creating a window of opportunity to appeal the contempt order and challenge Mueller's powers as unconstitutional. Rod J. Rosenstein, a Deputy Attorney General, appointed Mueller as Special Counsel. Rosenstein justified the appointment under a power he claimed was vested in him under the title of Acting Attorney General. Except, Congress has not created a law vesting an Acting Attorney General with the power to create an inferior officer. Instead, Rosenstein tried "to string together bits and pieces from statutes to [attempt to] justify the appointment of the Special Counsel," Kamenar wrote in his brief. Reliance on inapplicable statutes in critical matters like Special Counsel selection "can lead to dangerous, if not absurd results," Kamenar forewarned. Moreover, Rosenstein was merely serving in the capacity of Acting Attorney General for the limited matter of the presidential campaign, the matter from which Jeff Sessions, the official Attorney General for all other purposes, had recused himself. Rosenstein remained in the position of Deputy Attorney General for all other purposes. But U.S. law spells out how one takes on the role of an Acting Attorney General, and this can happen only if the Attorney General "dies, resigns, or is otherwise unable to perform the functions and duties of the office." Sessions did not die or resign, and he was not absent. Nor was he "otherwise unable to perform the functions and duties of the office." Jeff Sessions has been readily performing the duties and functions of the office of Attorney General. Sessions simply recused himself on a single topic; he never abrogated any of his other responsibilities as Attorney General. While Sessions lawfully recused himself from the investigation, he did not lawfully recuse himself from appointing the investigator, the Special Counsel. "Jeff Sessions is the only officer at the DOJ who has the constitutional authority to appoint a Special Counsel as an inferior officer," writes Kamenar. Since Sessions did not appoint Mueller, and there is no other lawful avenue for Mueller to have been appointed, then Mueller's exercise of power is unlawful. Most importantly, Mueller acts like a "U.S. Attorney-at-large or a super U.S. Attorney with almost unlimited resources," in violation of the Constitution's restriction on power, Kamenar boldly states in his brief. Mueller exercises more power than any of the Senate confirmed Assistant Attorney Generals and some Cabinet officers, does not answer to anyone, and he has no oversight. "Mueller wields more power than any of the permanent U.S. Attorneys because he has nationwide and foreign jurisdiction, indicting three Russian business entities and more recently, a dozen Russian military intelligence officers on the very eve of our President’s Summit Meeting with the President of Russia." Robert Mueller filed a response to Kamenar's brief defending his position, arguing that his appointment is valid and "makes logical and practical sense." Mueller argues that Kamenar's reading of the law would yield an "illogical result" because the DOJ would be unable to act whenever a conflict of interest presents itself to an Attorney General, as it did with Jeff Sessions. Mueller further argues that recusal is equivalent to disability and that Rosenstein had appointed him correctly when Sessions recused himself. Mueller disagrees with the characterization of being a super U.S. attorney, arguing that he is subject to oversight by the Acting Attorney General Rosenstein and that he acts squarely within his powers. Mueller argues that Rosenstein can stop him at any time. A few days before Mueller filed his response, Rosenstein was accused of bias against the President and an alleged scheme to remove Trump from office. According to the New York Times, multiple sources confirmed that Rosenstein suggested a year ago "that he secretly record President Trump in the White House to expose the chaos consuming the administration, and he discussed recruiting cabinet members to invoke the 25th Amendment to remove Mr. Trump from office for being unfit." If the New York Times story is true, then trusting Rosenstein as an objective authority over Mueller's power would be troubling. But Rosenstein denied the allegations in a statement, calling the allegations "inaccurate and factually incorrect." Rosenstein is set to meet with President Trump to discuss these allegations sometime this week. I had some critical questions for Kamenar. What will happen if the constitutional challenge prevails in the Supreme Court and Mueller's authority is ruled unconstitutional? Will all subpoenas lose their validity? Will all pending charges have to be dropped? Kamenar believes the answer to those questions will be yes. As to the convictions that Mueller's office has obtained based on plea deals, that answer will be more complicated. Each guilty plea will have to be individually evaluated to determine what legal options are available. Andrew Miller v. United States is pending before the United States Court of Appeals in D.C., Judge Brett Kavanaugh's courthouse. Oral arguments are scheduled for November 8, 2018. Kamenar plans to take this case to the Supreme Court if he loses in the Court of Appeals. As of now, the Supreme Court remains short one justice, opening the October 2018 term with eight politically divided justices. "First, Mueller is a 'principal officer' that should be appointed by the president and confirmed by the Senate just like all U.S. Attorneys. Second, if Mueller is an 'inferior officer' as Mueller maintains, the Appointments Clause requires that he be appointed by the Head of the Department which is Jeff Sessions. As for his first “principal officer” argument, Mueller acts like a 'U.S. Attorney-at-large or a super U.S. Attorney with almost unlimited resources,' 'wield[ing] more power than any of the permanent U.S. Attorneys because he has nationwide and foreign jurisdiction, indicting three Russian business entities and more recently, a dozen Russian military intelligence officers on the very eve of our President’s Summit Meeting with the President of Russia.' Since all U.S. Attorneys are Senate confirmed, so too should Mueller. As for the 'inferior officer' category, the Appointments Clause requires such officers to be appointed by the Head of the Department, which is Jeff Sessions.